We were very impressed with our guide, Joel. 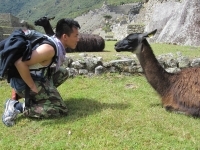 He informed us of many of the flaura and fauna of the Mountain, and helped us with any problems we had. 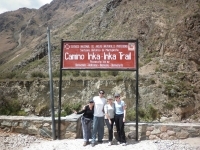 Our Inca Trail experience was a unique, enlightening, and downright amazing experience. 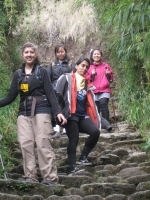 Four days ago, seven friends from California, USA, embarked on a journey to find the lost city of the Incas, Machu Picchu, but ended up discovering that it was the trials and tribulations of the Inca Trail itself that held the true marvel. Muito bem terminamos a nossa viagem a Cusco e Machupichu. O resultado final foi muito positivo. Para quem nao fez vale a pena fazer. 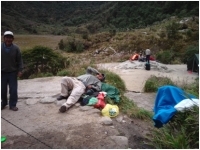 O tratamento que tivemos de todos foi muito bom desde o Hotel os tours pela cidade, exelente comida e contratamos Inca Trail para fazer parte do caminho Inka e o tour em Machupichu. For me the Salkantay Trek of 5 days was a unique experience. The change of the nature during the trip is amazing. It goes from almost desert zone until tropical jungle and finally Machupicchu is unique to visit and was my personal highlight. 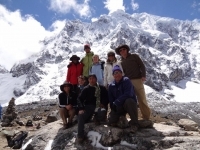 I really enjoyed the 5 days and 4 nights we spend doing the Salkantay trek. 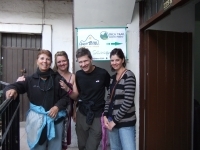 The group was great (although bigger than I initially thought), the guide was very knowledgeable and fun and the food was great! 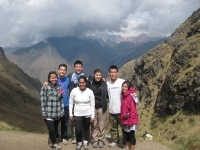 The highlights were, of course, Machu Picchu and the 2nd day when we reached our 'top'. We had an absolutely awesome time. It was one of if not the most amazing thing I've ever done. It was also the most physically challenging thing i've done and I ran two 1/2 marathons last year. My friends and I decided to go on the Salkantay Trek based on recommendations by friends of mine, and we were not disappointed. 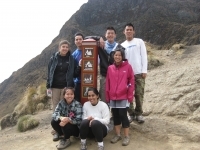 The trek was a once in a lifetime experience that we wouldn't have wanted to miss.